When the ground is covered in snow you'll need a pair of boots that are waterproof, insulated and high enough to prevent the deep snow from coming over the top. 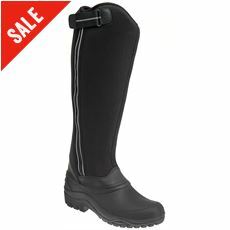 Our range of women's snow boots is popular every year as a fashionable and functional piece of footwear for those heading off on winter breaks and those staying at home to enjoy a brisk winter walk in the UK. Our range of women’s snow boots are practical, durable, reliable and – in many cases – fleece-lined to keep your feet as warm and dry as possible. Browse online or shop in your local GO Outdoors store today.